India First emergence of wheat blast in Asia. Average disease losses of 30%. 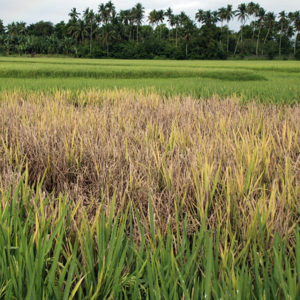 Total crop loss in some cases. 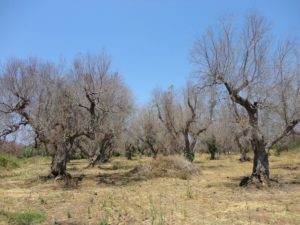 2014 Olive Xylella fastidosa Southern Europe Over 1 million trees infected, up to 40% rise in olive oil prices. Olive oil production in Tuscany reduced by half. 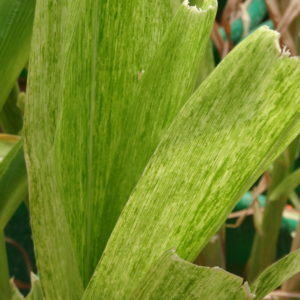 2011 Maize Maize lethal necrosis disease East Africa Disease widespread across maize growing areas. Estimated national losses of 10% per year. Individual losses up to 100%. 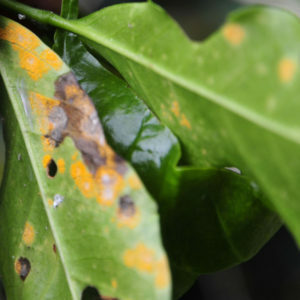 Caribbean Over $1 billion in damage to coffee plants. Up to 500,000 job losses. Many farms lost over 75% of production. North America Epidemic causing 40% losses. 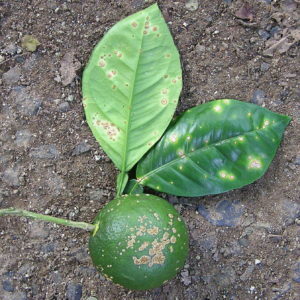 2010s Citrus Greening disease Florida Massive impact on Florida citurs industry with no good control methods available. 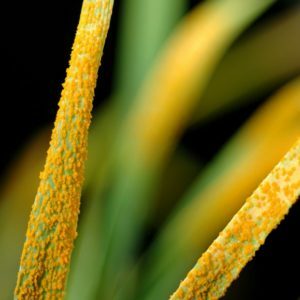 Up to 75% of trees in southeast US infected. Middle East New race (Ug99) spreading throughout Africa and Middle East, threatening world supply. 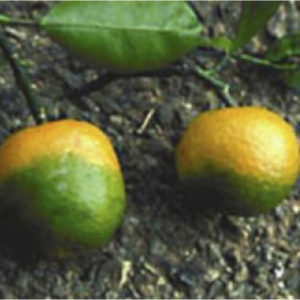 1990s-2000s Citrus Canker Florida Unsuccessful tree eradication program abandoned in 2006. 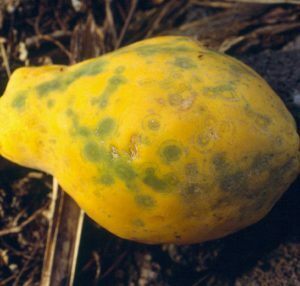 CC BY-SA 2.0 1990s Papaya Ring spot virus Hawaii Nearly led to collapse of papaya industry. GM variety introduced widely credited with saving the industry. 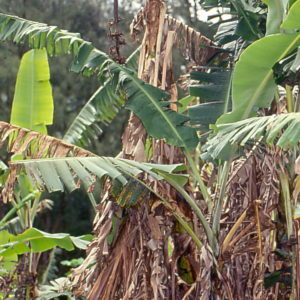 CC BY-SA 2.0 1990s Banana Panama disease tropical race 4 Southeast Asia Currently threatening to wipe out the Cavendish banana. 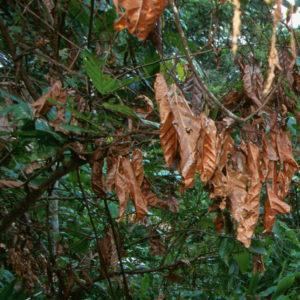 1989 Cacao Witches' broom Brazil Losses up to 100%. Overall wiped out 75% of production. South America First report of growing outbreak that continues today. 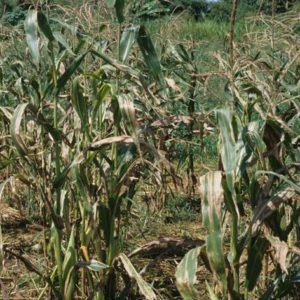 CC BY 3.0 Link 1970 Corn Southern corn leaf blight USA Scattered in 1968-69. Full scale epidemic in 1970 due to wide use of a single susceptible corn background. 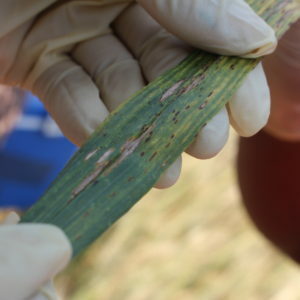 1960s Rice Bacterial leaf blight Southeast Asia Yield losses up to 80%. 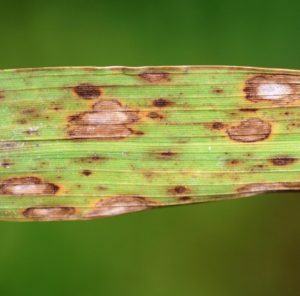 CC BY 3.0, Link 1942 Rice Brown spot disease India Factor in Great Bengal Famine. 2 million people died of starvation. 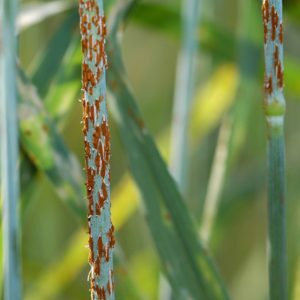 1935, 1953 Wheat Stem rust North America Epidemics in Great Plains. Some states with >50% yield losses. South America Gros Michel variety nearly wiped out. Led to adoption of the Cavendish variety resistant to Panama disease, but inferior in taste. 1916 Wheat Stem rust North America Devastating epidemic controlled by eradication of alternate host, barberry. 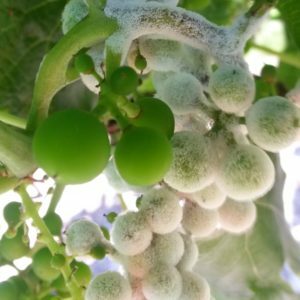 CC BY-SA 4.0 by David S. Jones, Patricia McManus 1878 - 1885 Grapes Downy mildew France Spread throughout Europe with devastating impact on wine industry. Led to use of copper in Bordeaux mix, the first chemical widely used to protect plants. 1868 Coffee Rust Sri Lanka Wiped out coffee crop. Brits become tea drinkers. 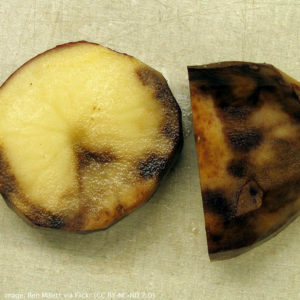 1840s Potato Late blight Ireland Major factor in Irish Potato Famine. 2.5 million people died or emigrated.